Mt. 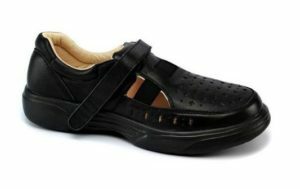 Emey Shoes specializes in extra wide and therapeutic footwear. With the aim of providing comfortable shoes for all, Mt. Emey Shoes come in men’s, women’s, and children’s sizes and styles. With Big Apple Buddy’s personal shopping service, you can now buy the latest shoes from the USA Mt. Emey online store anytime, anywhere. If you’re looking for shoes that are comfortable, but dressier than a pair of sneakers or boots, try Mt. Emey’s Premiere Collection. These shoes are made from genuine leather and come in a variety of colors so you can match them with any outfit. Try the Extreme-Light Sandals to complete a Summer look. Mt. Emey Shoes has a vast collection of men’s hiking boots. Unlike most shoe companies, Mt. Emey offers a variety of show widths, from W to XXW. Mt. 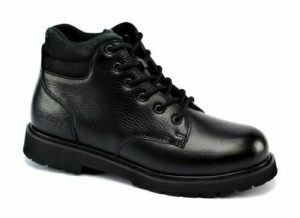 Emey AM5605 Adventure Boots come in a gorgeous black leather. These boots look good and feel good. Mt. 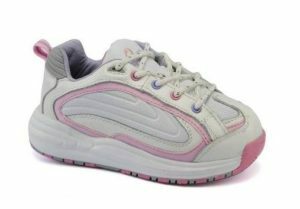 Emey is the brand to buy orthopedic children’s shoes from. They provide boy’s, girl’s, and toddler’s shoes. They also offer a variety of styles and colors to ensure that you don’t have to compromise fashion for functionality. Mt. Emey Shoes is located in the US, and their online store unfortunately does not offer international shipping to all countries outside the US and Canada. Not to worry though! Big Apple Buddy, your personal shopper, can help you buy shoes from the USA Mt. Emey Shoes online store and ship them to your doorstep, no matter where you are in the world. We offer international shipping to over 110 countries including Australia, Austria, Azerbaijan, Bahrain, Belgium, British Virgin Islands, Brunei, Bulgaria, Canada, Chile, Costa Rica, Croatia, Czech Republic, Denmark, Estonia, Fiji, Finland, France, French Polynesia, Germany, Gibraltar, Greece, Greenland, Hong Kong, Hungary, Iceland, Indonesia, Ireland, Israel, Italy, Japan, Jordan, Kuwait, Latvia, Liechtenstein, Lithuania, Luxembourg, Macau, Malaysia, Maldives, Malta, Marshall Islands, Mauritius, Monaco, the Netherlands, Netherland Antilles, New Zealand, Norway, Oman, Poland, Qatar, Romania, San Marino, Saudi Arabia, Serbia and Montenegro, Seychelles, Singapore, Slovak Republic, Slovenia, Spain, South Africa, St. Lucia, Sweden, Switzerland, Taiwan, Thailand, the UAE, the UK, Vatican City, and Vietnam. If you would like to buy from the USA Mt. Emey Shoes online store, simply let us know which items you would like to order (by filling out the form below) and we’ll get back to you with a free international shipping quote within 24 hours!